Making videos and publishing them on YouTube has become a career for some people who have taken up vlogging full-time. 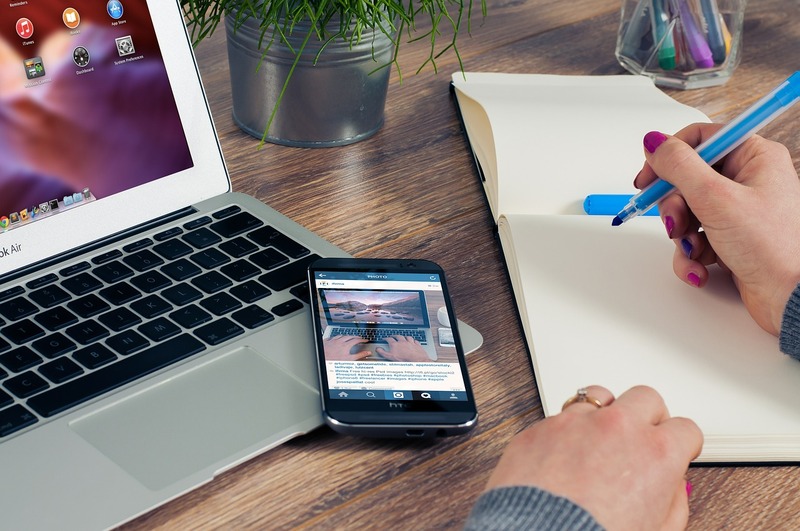 Short for "video blogs", vlogs have become very popular and YouTube has spawned more than a handful of celebrity vloggers. 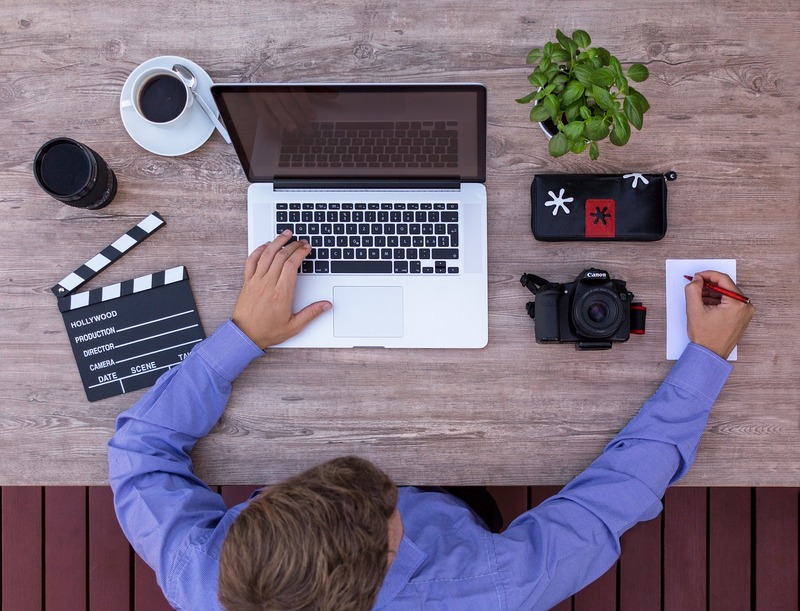 If you're considering trying your hand at the exciting and lucrative world of vlogging, you might be asking yourself "what video cameras do YouTubers use?" We’re presenting this list of the best cameras for YouTube based on a combination of price, quality, and popularity. What Video Cameras Do YouTubers Use? When deciding what kind of camera to buy, you'll want to consider factors such as image quality, budget, portability, microphone quality, recording time, and (if you're going to be using the camera outside of a home studio) battery life. The "best" camera is usually a matter of personal opinion, and depends on what kind of videos you're likely to be shooting. If you're going to be doing a traditional video blog, you won't need too much portability or have to worry too much about things like weight and battery life, as you'll likely be working out of a home studio with a tripod and access to a power supply. Anyone who does travel or exterior location video shoots will want highly portable, durable cameras with long-lasting batteries. Makeup and beauty vloggers, as well as those doing hands-on instructional videos, need cameras with excellent autofocus and high-quality audio. So what video cameras do YouTubers Use? Here's a list of some of the most popular cameras used by successful vloggers at a variety of price points, for the bargain minded all the way up to models you will need deep pockets to afford. Here's a quick rundown of the various overall options. DSLRs were the standard camera of choice for many years. The earliest models were mainly used for still shots, but they've come a long way and most are now capable of shooting high quality video. 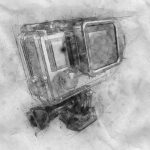 These may be among the most versatile cameras on this list, allowing the user to change lenses and make many manual adjustments to the way their camera captures video. With so many options, they do have a steep learning curve, and due to their status as professional tools, many come with high price tags. They may also be a little heavy for anyone recording video on-the-go. 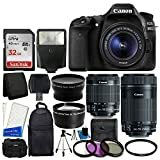 These cameras are very much like DSLRs in that they provide a lot of flexibility in manual settings, can use different lenses, and take both high quality still shots and flawless video. Like DSLRs, they can be complex and tricky to learn, and are higher priced than some other options. If you want the power of a DSLR without the weight, these highly portable, small form cameras are worth checking out. These are sometimes called "POV" or point-of-view cameras, as many times they are used to shoot video while strapped to someone's body. They're a great choice for anyone who does sports or action vlogging and make great cameras for travel vloggers because of their small size and light weight. Most are also waterproof or have waterproof cases available, so if you're into watersports, this is probably where you want to start looking. 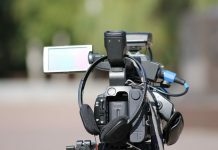 While somewhat traditional (which is not to say old fashioned), dedicated camcorders are intended to shoot only video, and most aren't capable of shooting still images (but you can always capture stills later with video editing software). 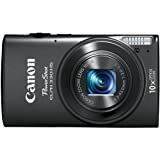 These cameras are intended to make shooting video straightforward and easy, and are therefore lightweight, very portable, easy to hold, and with zoom and other image adjustments available at your fingertips. These are compact, simple to use and easy to understand, and make good entry-level cameras for those who don't need too much control over the how their camera captures videos. So-called point-and-shoot cameras are just that: you point it at what you want to capture and press the record button. While lacking the higher-end features of DSLRs or other cameras on this list, their simplicity, ease-of-use, and price points make them attractive options. If you go this route, you'll want to be sure your camera comes with a traditional viewfinder, as shooting in sunlight or other bright light may render LCD screens all but unreadable. Don't forget the option you may already have with you: the camera on your smartphone. Many smartphones are now capable of shooting 4k video, have a variety of software available to control the various technical aspects of filming, and are incredibly lightweight. Drawbacks here include battery life and the fact that they're designed to be used as phones, not cameras, so they may be more difficult to hold while shooting. Be sure to invest in a durable case with a ring or other attachment on the back to make your smartphone easier to hold—and harder to drop. While many people may ask "what video cameras do YouTubers use?" they may not think about the importance of audio quality and microphone choice. While many of the following cameras have excellent on-camera microphones, they are limited in how they capture audio. 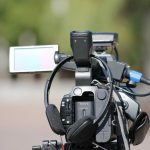 If this is an important concern for you—meaning if you intend to do any video shoots where you're not directly in front of the camera or are filming multiple subjects—be sure that your camera allows you to attach an external microphone. If you're a beginner, on a budget, or aren't exactly sure that vlogging is for you, these cameras are worth a look. 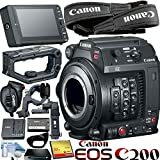 While much cheaper than some of the more fully featured cameras, these are all perfectly capable of shooting high quality video that is more than suitable for your basic YouTube shoot. You can always invest in higher-end equipment later, and these cameras will give you plenty of service in the meantime. What video cameras do YouTubers use? Sometimes they're not strictly cameras at all, but webcams. 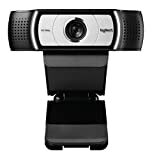 If you know you're going to be shooting in a home studio or in front of a laptop or PC, this little webcam is worth a look. It shoots 1080p at 30 fps, and produces high-quality video. It has a wide field of view—a full ninety degrees—and onboard video processing which frees up your PC or laptop from the processor-intensive act of handling video. Perfect for gamers who are considering setting up a YouTube channel. This compact and lightweight camcorder has easy-to-use controls that will have even the most novice vloggers shooting high quality 1080p video in no time. It features a five-axis image stabilizer for smooth handheld shots, and an amazing 50x optical zoom which makes this a good camera for travel vloggers who want to shoot landscapes (like the Grand Canyon or national monuments) or anyone shooting distant subjects. It also features BSI sensors, which provide excellent low-light video quality, along with a very good two-channel zoom microphone, which is tied to the zoom function of the camera to provide clear audio at impressive distances. The ELPH 330 is a powerful 12.1 megapixel digital camera that features 10x optical stabilized zoom and features a three-inch LCD monitor, but the standout feature for vloggers has to be the built-in Wi-Fi. With this camera, you can instantly and wirelessly upload your video to YouTube (and other social media sites) directly. It features beautiful, stabilized 1080p full HD video, a stereo microphone, and its ECO Mode reduces power consumption and improves battery longevity. It's relatively cheap, easy to use, and perfect for the no-frills or beginning vlogger. While toward the high-end of our entry level selections, the GoPro HERO7 is an amazing waterproof (to 10 meters) camera with incredible video stabilization capable of producing fantastically smooth 4K video. It has some really innovative and interesting features, like its "Time Warp" video function, which allows you to capture time lapse videos with the same stabilized quality as its full motion video. It also features voice control, which is a handy way of using the camera while its out of reach, say strapped to a helmet or the front of a surfboard. One of the most interesting features for would-be YouTubers is its live streaming video function, which allows you to "go live" on Facebook. Sometimes the answer to "what video cameras do YouTubers use?" is "a phone." Specifically, a smartphone. Models as comparatively aged as the Samsung S5 and the iPhone 6s are able to shoot 4k video, which is (considering the quality of video cameras a few years older than these models) nothing short of amazing. Best of all, many people won't have to make an additional cash outlay, as they may already have a perfectly suitable camera on their smartphone. Battery life is an issue, and most smartphones are only capable of high-quality video through their back camera. If you switch to front-facing mode so you can see what you're shooting, video quality is likely to drop significantly due to the technical limitations of your device. If you have a little more budget and the need for higher performance or more features, you have plenty of good options. While these cameras have great automatic settings, most of them also provide manual settings for greater control. They also feature connectors for external microphones, decent battery life, and are great for still images as well. A full-featured point-and-shoot camera, the PowerShot G7 X Mark II combines simplicity with high-performance. Its one-inch 20.1 megapixel CMOS sensor allows shooting in even low light conditions, and the onboard DIGIC 7 image processor ensures superb image clarity. It has a variable F-stop lens, allowing you to change depth of field on the fly. It shoots full 1080p HD, has built-in Wi-Fi and NFC, which makes porting video over to a PC or laptop virtually effortless. Camera features a 22-77mm zoom lens, 3.5× optical and 2× digital lossless zoom. Camera will shoot 4K video, 12 megapixel photos and offers silent recording. 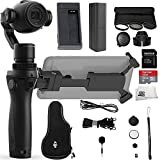 Unlike the other entries on this list, the DJI Osmo+ Beginner's Bundle comes with a handful of accessories perfect for more cinematic video. This kit does more than answer the question "what video cameras do YouTubers use?" It comes complete with a three-axis gimbal, a handheld stabilizing unit that allows 360 degrees of rotation. DJI, now perhaps best known for their camera-equipped drones, ventured into the gimbal business with this model, which features integrated 3.5x optical zoom and full 1080p resolution at an amazing 24-120 fps. The kit comes complete with DJI's M-15 FlexiMic, a 16GB microSDHC Card, and a SanDisk Ultra 32GB microSDHC UHS-I card, allowing you to shoot a considerable amount of video on the go. The Cyber-Shot RX100 V has the world’s fastest autofocus speed at 0.05 seconds and the world’s most autofocus points—a stunning three-hundred-and-fifteen points crammed into this compact, high-end point-and-shoot. It shoots crisp, clear 4k video, has a retractable electronic view finder, a one-inch, 20.1 megapixel Exmor RS CMOS sensor with DRAM, which makes this one of the fastest shooting cameras on the planet. It's 4K video and fast hybrid autofocus make the RX100 V one of the best cameras for vlogging, and is definitely worth a look if it's within your budget. The EOS 80D is a great DSLR with a 24.2 megapixel CMOS sensor featuring refined individual pixels that allow it to shoot full 1080p at 30 fps with an impressive 12800 ISO, which makes filming possible in all but the darkest conditions. It also features built-in wireless connectivity and the ability to export video in MP4 format. Though you will have to purchase lenses separately, this is a fantastic vlogger camera because of its long battery life. If you have the budget and truly want the best, these are the cameras you want to check out. 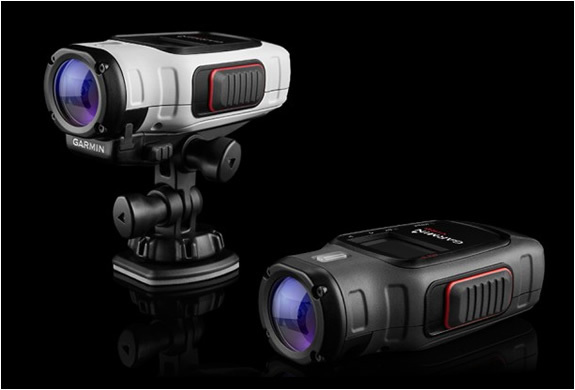 These cameras support external microphones, and feature truly superior image and video quality. These are not suitable cameras for novices or anyone who is easily frustrated by complicated technology, but at these price points one would expect a complex array of features. These are truly some of the best cameras currently available, capable of producing movie-quality video. 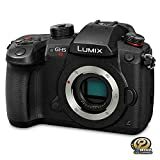 The Panasonic GH5S is a mirrorless 10.2 megapixel camera capable of shooting 4k anamorphic video and high quality still shots, so it's a very versatile camera. It has a high sensitivity MOS sensor with multi-aspect and dual native ISO: 400 ISO for normal light and 2500 ISO which can shoot in quite dark environments. Ideal for anyone who wants high quality in a highly portable package. 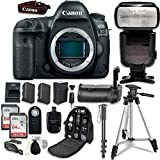 The Canon 5D Mark IV is a powerful DSLR, but at this price point only the camera body is included. It has a 30.4 megapixel full-frame CMOS sensor, a sixty-one point autofocus system, and an ISO range of 100 all the way up to an astounding, see-in-the-dark 32000 ISO. It has built in Wi-Fi, so transferring stills or video won't involve fiddling with SD cards. The image quality of the 5D Mark IV is incredible, making it a great camera for anyone doing close-up vlogging, like makeup or instructional vlogs where fine detail is important. Like the Canon 5D Mark IV, this price point only includes the camera body—lenses must be bought separately. This compact, mirrorless camera features both Wi-Fi and NFC, making transferring data a snap. It has a built-in Rode VideoMic GO on-camera microphone that does an excellent job at capturing audio, has a full-frame 42.4 megapixel Exmor R CMOS sensor, built-in image stabilization, and (like the 5D Mark IV) is capable of shooting both high quality 4k video and amazing stills. The C200 Cinema Camera is, as the price would suggest, strictly professional. 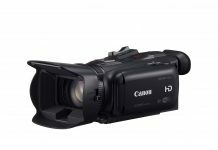 It features Super 35mm CMOS Sensor technology, dual DIGIC DV 6 processors, a native resolution of 1920 x 1080 pixels, and records in the popular MP4 format. With a rotating "flip-screen" LCD monitor, camera grip, integrated EVF and two XLR audio inputs, this camera is suitable for anyone considering making the leap to film making. While this is overkill for YouTube, it is an incredibly powerful camera and would make an excellent choice for anyone with the budget. Creating a channel on YouTube and populating it with your own videos can be a fun and engaging way to get your message out to the public, provide a creative and challenging pastime, or even—if you're lucky—allow you to earn a living educating and entertaining the 1.8 billion visitors YouTube draws per month. No matter what your goal is, there's sure to be a camera on our list that meets your needs. We hope this answers the question "what video cameras do YouTubers use?" You may want to consider renting rather than buying outright to start, which will give you the opportunity to be sure you're getting exactly what you want. Previous articleGoPro vs iPhone Comparison: Which is the Better Product? 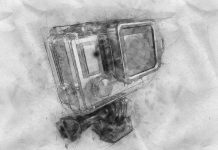 When it comes to SJCAM Vs GoPro, there is a lot of information you should consider. Both have great features. But which is better? Released in 2003, the Sony DCR-TRV350 was a bridge between the analog technology of the past and the digital video future.